The upcoming stand-alone prequel for Han Solo will be called Solo. Previously the movie was rumored to have the title Han Solo: A Star Wars Story. The official title is Solo: A Star Wars Story. 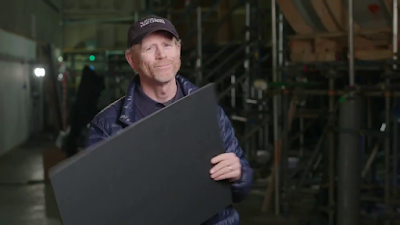 Director Ron Howard announced on Twitter the news as they wrapped production on the film. What's surprising is how bland it is. We can assume all Star Wars movies will be named after the team or character. Yoda. Boba Fett. Fett. Maybe the name will grow on me. Well, simple. We won't forget it. Fits in with the Rogue One pattern. These are isolated stories that happen before the heroes converge, after all. Why not capitalize if the name of the lead character in the next one fits so well?